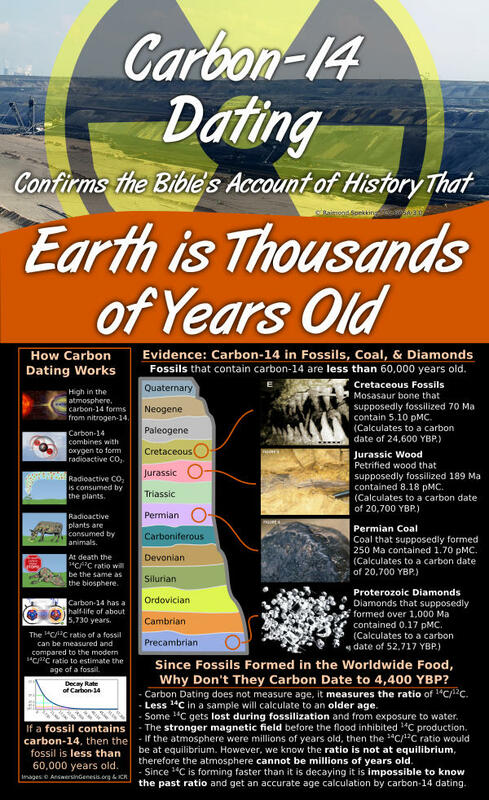 Carbon-14 dating confirms the Bible's account of history that fossils are only thousands of years old. Carbon-14 forms in the atmosphere and is absorbed by plants. 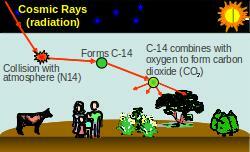 High in the atmosphere carbon-14 forms from nitrogen-14. 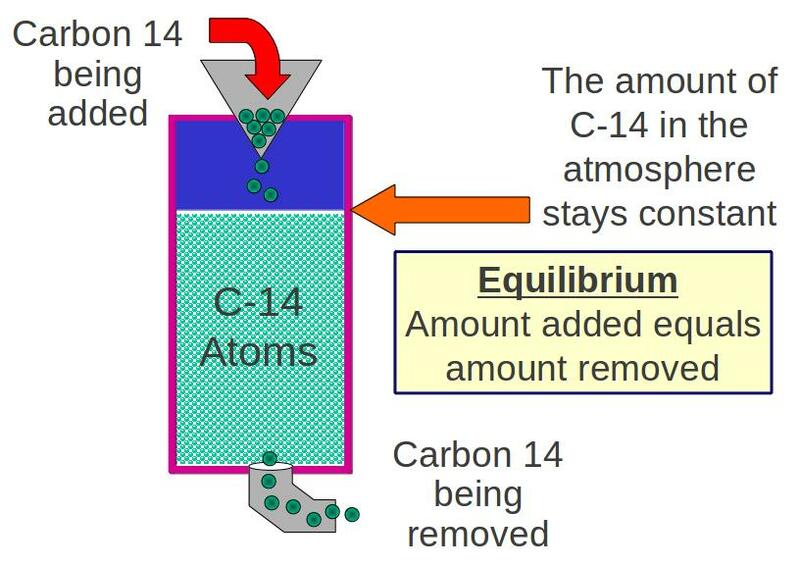 Carbon-14 combines with oxygen to form radioactive CO2. Radioactive CO2 is consumed by the plants. Radioactive plants are consumed by animals. Upon death the animal will have the same 12C:14C ratio as the atmosphere. Carbon-14 has a half-life of about 5,730 years. The 12C:14C ratio of a fossil can be measured and compared to the present 12C:14C ratio and the known decay rate to estimate the age of a fossil. After 10 half-lives all the carbon-14 in a fossil will be gone. After 10 half-lives all the carbon-14 in a fossil will be gone. If a fossil contains carbon-14, then the fossil is less than 60,000 years old. #1: The starting amount of 14C is known. Many factors would prevent the sample from consuming 14C during its lifetime thereby reducing the starting quantity of 14C. Not only do some plants discriminate CO2 that contains 14C, but the 14C content changes considerably with latitude. If a plants (or animals that eat those plants) consume less 14C then they will carbon date to an older age. #2: No 14C in the fossil has been lost. 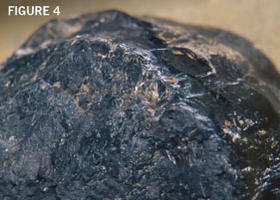 Any loss of carbon-14 during fossilization or from exposure over the years would cause the sample to carbon date to an older age. In permineralization the minerals fill in the empty spaces to form a fossil, but in petrification the minerals completely replace the original cellular material and the 14C. #3: The current 1T:1 ratio always been the same. The biosphere currently contains 1 trillion carbon-12 atoms for every 1 carbon-14 atom (1T:1). 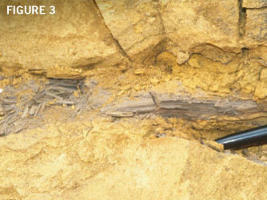 The pre-Flood world contained much more plant life (as seen in massive coal seams). This means the past 12C:14C ratio was much larger before the Flood and fossils will have much less 14C. #4: Earth's magnetic field has not changed. Evidence from ancient pottery and lava flows indicate the magnetic field was stronger in the past. 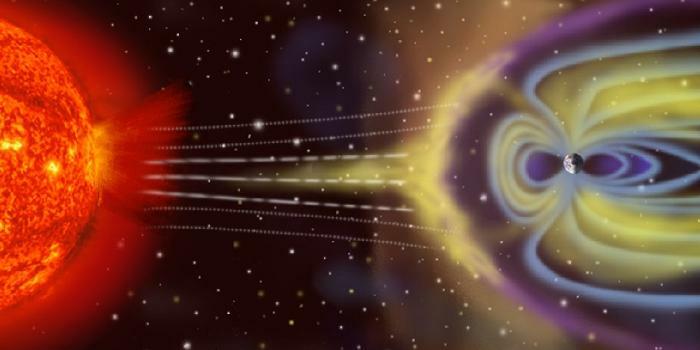 The stronger magnetic field would have shielded Earth from cosmic rays and solar flares resulting in less 14C production. #5: Atmospheric 14C is at equilibrium. Today more 14C is forming in the atmosphere than is decaying. Equilibrium should have been reached after 30,000 years, but since the 1940's it has been known that the atmospheric 14C is not yet at equilibrium. This means the atmosphere is not yet 30,000 years old. The lower 14C content in the past will cause fossils to carbon date to much older ages. A. 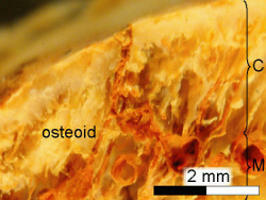 A. Snelling, Radiocarbon Ages for Fossil Ammonites and Wood in Cretaceous Strata near Redding, California, Answers Research Journal 1 (2008): 123-144. A fossilized ammonite and piece of wood in the Lower Cretaceous Budden Canyon Formation near Redding, California are assigned an age of 112 million to 120 million years old according to the geologic column. Not only do trees not grow where ammonites live (indicating catastrophic burial conditions), but the sample carbon dated to an uncorrected 'age' of 48,710 and 42,390 years BP respectively. Fossilized wood samples from the Early Jurassic Hornton Quarries in southern England are assigned an age of 189 million years according to the geologic column. They carbon dated to uncorrected ‘ages’ ranging from 20,700 to 28,820 years BP. A petrified wood inclusion in the Middle Triassic Hawkesbury Sandstone was assigned an age of 225-230 million years according to the geologic column. 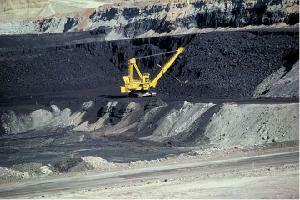 It carbon dated to an uncorrected 'age' of 33,720 ± 430 years BP. A coalified stump found in the Upper Permian coal bed in Sydney, Australia was assigned an age of 250 million years according to the geologic column. It carbon dated to an uncorrected 'age' of 33,700 ± 400 years BP. Ten coal samples from Eocene, Cretaceous, and Pennsylvanian geological formations that supposedly formed 40 million to 300 million years ago. 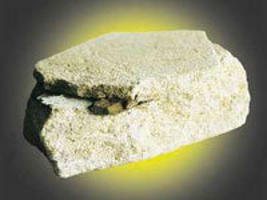 They carbon dated to uncorrected 'ages' ranging from 48,000 to 50,000 years BP. Unfossilized tissue of a mosasaur bone from the Maastrichtian Phosphatic Chalk of Ciply, Belgium was carbon dated to an 'age' of 24,600 years BP. These dinosaurs supposed to have lived 70 million years ago. 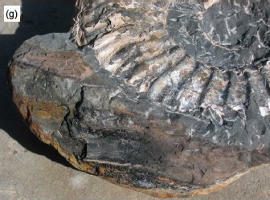 Not only does the presence of carbon-14 indicate this fossil is not millions of years old but this is just one of several cases that the dinosaur fossil was not even completely fossilized indicating a recent burial. J. R. Baumgardner, “14C Evidence for a Recent Global Flood and a Young Earth,” in Radioisotopes and the Age of the Earth: Results of a Young-Earth Creationist Research Initiative, eds. L. Vardiman, A. A. Snelling, and E. F. Chaffin (El Cajon, California: Institute for Creation Research, and Chino Valley, Arizona: Creation Research Society, 2005), pp. 587–630. Diamonds are the the hardest known naturally occurring substance and the chemical construction make them highly resistant to contamination. 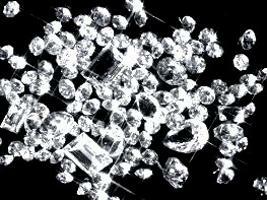 Significant levels of carbon-14 found inside diamonds indicate they have an uncorrected 'age' of 55,000 years BP. Diamonds supposedly formed 1 to 2 billion years ago deep inside the earth, but since they contain carbon-14 that means they must be less than 60,000 years old. Fossils from all strata contain 14C that cannot be explained by contamination. This evidence confirms that they are only thousands of years old. The “chronostratigraphic unit” is the name assigned to the layer of rock. The age given in million years (Ma) is an assumption based on the belief in evolution (not science). The carbon years before present (YBP) have not been corrected with the assumptions above and don't conflict with a 6,000 year old earth. Any percentage modern carbon (pMC) above 0.01 support the biblical age of the earth and is proof that fossils and rock layers are not millions of years old.